At the peak of his eminence, Otto von Bismarck, the statesman who created a unified Germany and who dominated world politics in the closing decades of the nineteenth century, was regarded as a legend rather than an individual. This comprehensive biography attempts to dissect the myth and find the man behind the mask, to delineate Bismarck’s formidably complex personality. Alan Palmer traces Bismarck’s early life, his diplomatic and political career, and his phenomenal rise from obscure Junker landowner to the most powerful king’s servant since Richelieu. Palmer includes many important extracts from Bismarck’s letters, public and private, and the results of recent research. ‘Alan Palmer writes the sort of history that dons did before “accessible” became an insult…Cool, rational, scholarly, literate.’ – Sir John Keegan. Alan Palmer was head of the History Department at Highgate School from 1953 to 1969 when he gave up his post to concentrate on historical writing and research. 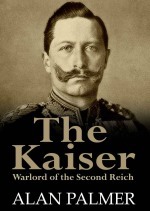 His many books include ‘Victory 1918’; ‘The Kaiser’ and ‘Napoleon and Marie Louise’. At the peak of his eminence, Otto von Bismarck, the statesman who created a unified Germany and who dominated world politics in the closing decades of the nineteenth century, was regarded as a legend rather than an (More) individual. This comprehensive biography attempts to dissect the myth and find the man behind the mask, to delineate Bismarck’s formidably complex personality. Alan Palmer traces Bismarck’s early life, his diplomatic and political career, and his phenomenal rise from obscure Junker landowner to the most powerful king’s servant since Richelieu. 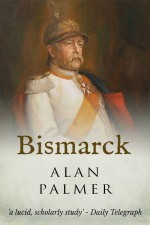 Palmer includes many important extracts from Bismarck’s letters, public and private, and the results of recent research. ‘Alan Palmer writes the sort of history that dons did before “accessible” became an insult...Cool, rational, scholarly, literate.’ – Sir John Keegan. Alan Palmer was head of the History Department at Highgate School from 1953 to 1969 when he gave up his post to concentrate on historical writing and research. His many books include ‘Victory 1918’; ‘The Kaiser’ and ‘Napoleon and Marie Louise’. He was, in the minds of many, the man responsible for the catastrophe that engulfed Europe in 1914. Kaiser Wilhelm II, the cold, brutal ruler who represented the pride and swagger of Imperial Germany, and must take the bulk of the (More) responsibility for the First World War. But who was the real man behind the image? Although his caricature is firmly etched on the mind, the Kaiser remains an elusive figure. Alan Palmer has set out to tell the story of the extraordinary life of this temperamentally insecure man who was outwardly so full of swagger and bombast -the epitome of the new, self-confident Germany. Born in a Prussia that was the supreme militaristic society of the post-Napoleonic era and accustomed from his earliest days to all the trappings and sounds of soldiery, Wilhelm was obsessed through-out his adolescence by the need to appear every inch a soldier.